Six seniors were named finalists in the National Merit Scholarship Program on February 12. 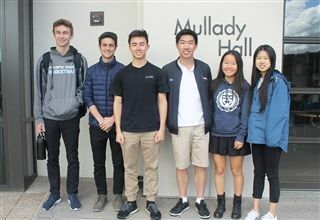 Patrick Bjornstad, Benjamin Causey, Eric Chen, Derek Ning, Tiffany Schell and Connie Yu were chosen out of about 1.6 million high school students who took the 2016 Preliminary SAT/National Merit Scholarship Qualifying Test. Scholarship winners will be announced beginning in April. The program honors individual students who show exceptional academic ability and potential for success in rigorous college studies.